Do I have to be permanently disabled to receive SS Disability? The Social Security Administration (SSA) does not require applicants to be permanently disabled in order to receive Social Security (SS) Disability benefits. To be eligible for SS Disability, applicants must have a medical condition that renders them totally disabled and unable to engage in any substantial gainful activity for 12 months or longer. However, depending on the medical condition and its potential for improvement, the applicant may be subject to periodic eligibility reviews, usually after one, three, or seven years. During these reviews, applicants can submit medical documentation from the doctor who treats their condition that discusses their diagnosis and prognosis. Even if the applicant's medical condition has improved to the point that the SSA no longer considers him totally disabled, the applicant may still be eligible to receive benefits for the time period he was totally disabled, under the SSA's “closed period” benefits policy. 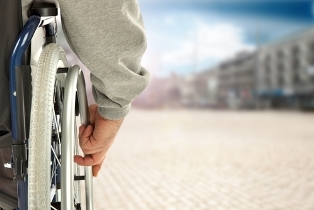 SS Disability applicants who meet the closed period criteria may be entitled to a lump-sum payment from the SSA that covers the time frame during which they were totally disabled. If you have a medical condition that prevents you from working, you may be eligible to receive SS benefits from the SSA. Working with an experienced disability attorney when you apply can help save you both time and effort by ensuring that your application contains all the necessary information before you submit it. And, in the event that your application is denied, a knowledgeable attorney can help you appeal that decision and fight for the benefits you need and deserve. Contact Keefe Disability Law today to schedule a no-cost case evaluation, or request a free copy of the book, The Five Most Frequently Asked Questions About Social Security Disability.